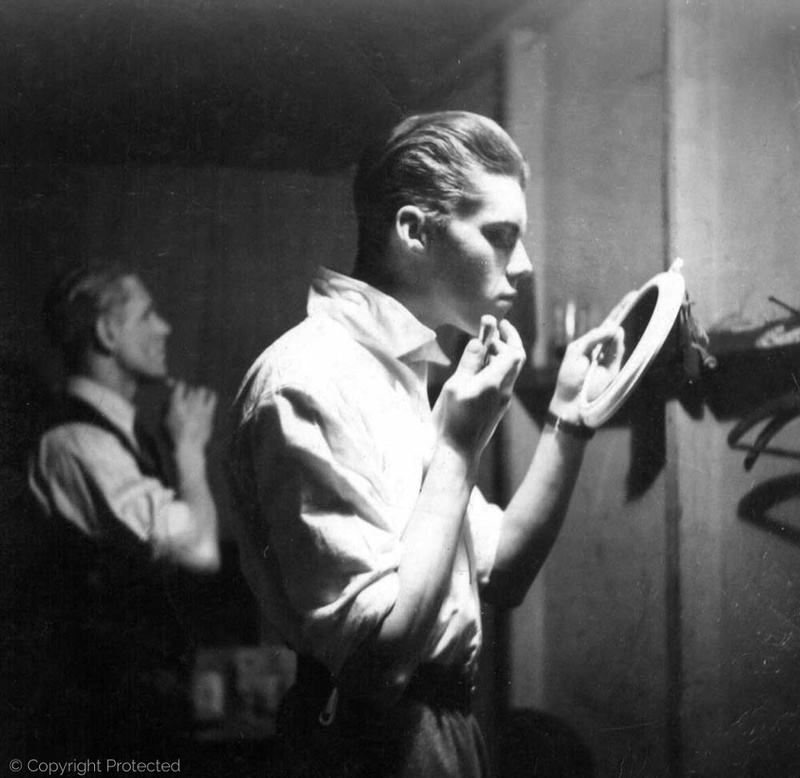 Back from the war in the Far East, demobilised from the Army and out of work, the 25-year-old Derek Van den Bogaerde was introduced to the producer Peter Daubeny. The latter was unmoved. ‘He made no impression on me at all, except that his face, with its Spanish black eyes, reminded me of Eddie Cantor.’ Not long afterwards, Daubeny was persuaded to visit the New Lindsey Theatre Club, where a group of unknowns was appearing in a new play called Power Without Glory. The production had run out of money and the company was ‘stranded’. Daubeny headed reluctantly for Notting Hill, but with a cheque in his pocket, in case what he saw encouraged him to lift ‘a death-sentence upon these young actors, whose whole future might well depend on outside good will.’ He found himself gradually engaged by Michael Clayton Hutton’s play, and then: ‘Suddenly there rushed on to the stage a breathless figure, half choking with emotion: a slight, dark youth, radiating a curious, almost hypnotic power; every movement, every inflection of his voice, uncannily suggesting the poetry of the gutter, of a lost soul. Beyond any doubt, here was an actor of the first quality. It turned out to be the young man with whom I had been so unimpressed shortly before…’ And the name in the programme was Dirk Bogarde. Among the pivotal moments in Dirk’s working life, that night in the cramped little theatre belongs in the first division. 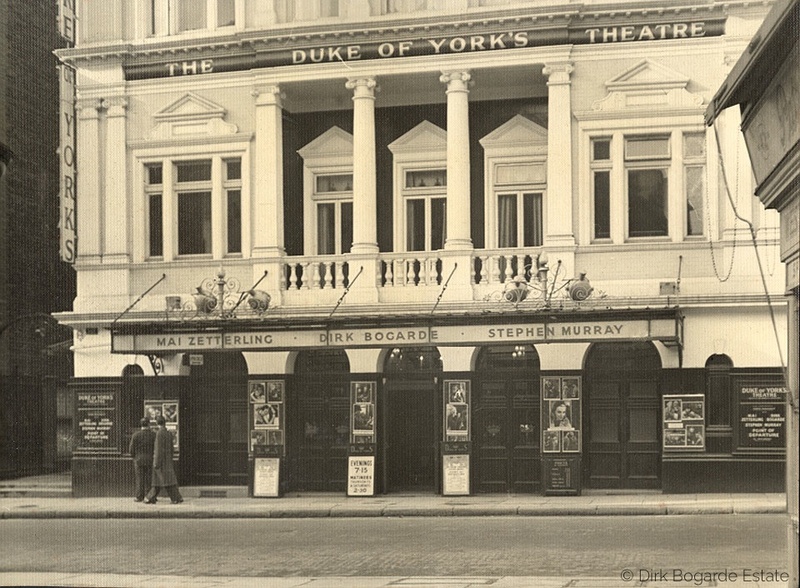 In April 1947, Daubeny transferred the production to the Fortune Theatre, where Noël Coward went to a dress rehearsal and was so struck that he sent an encomium to Daubeny for printing on posters all over London. 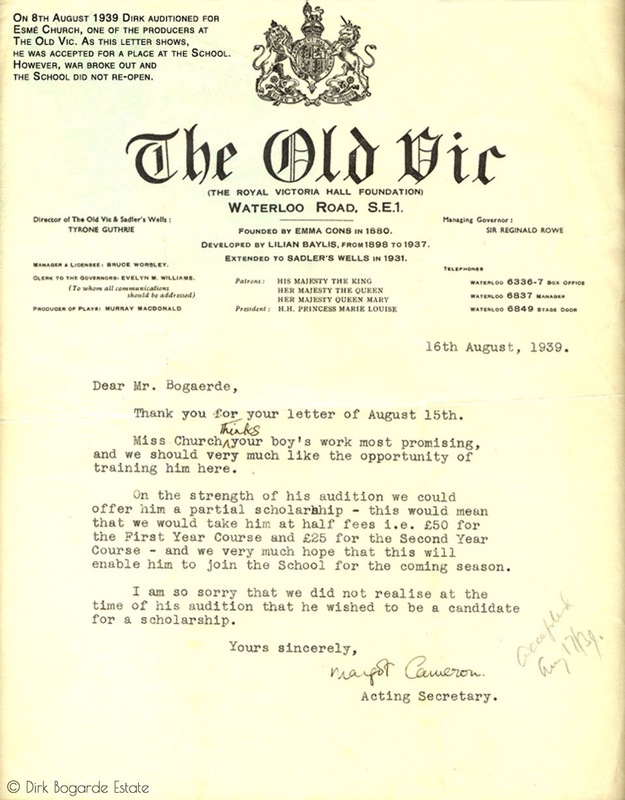 In a personal telegram to Dirk he said: ‘I hope your brilliant performance has the true success it so richly deserves.’ In critical terms it did, confirming Dirk as an exciting new talent; but, with Oklahoma! opening across the road at Drury Lane, the West End run of Power Without Glory was short. It was Coward’s turn to succour the cast, offering them all a part in his new work, Peace in Our Time. Dirk, however, was unavailable. Two other visitors to the New Lindsey had reported back to the producer Sydney Box at Gainsborough film studios, who offered a screen test to ‘the one with the charisma.’ Coward pleaded with Dirk not to forsake the theatre for the ‘piffling business’ of the cinema, but it was already too late. Dirk was on a retainer with an arm of the J. Arthur Rank Organisation; a seven-year contract was imminent; and on 6 September 1947 he would start shooting Esther Waters, with his name ‘above the title’, as it would be for the rest of his career. He was, in effect, lost to the theatre. The dying hubbub from the auditorium as the house lights dim, the swish of the parting curtains, the expectant hush as the stage spots brighten, the silence of the rapt, the gusts of communal laughter, the crack of applause – this heady cocktail was in Dirk’s blood. His grandfather Forrest Niven, a Glaswegian artist, thespian and all-round character, had seen to that. 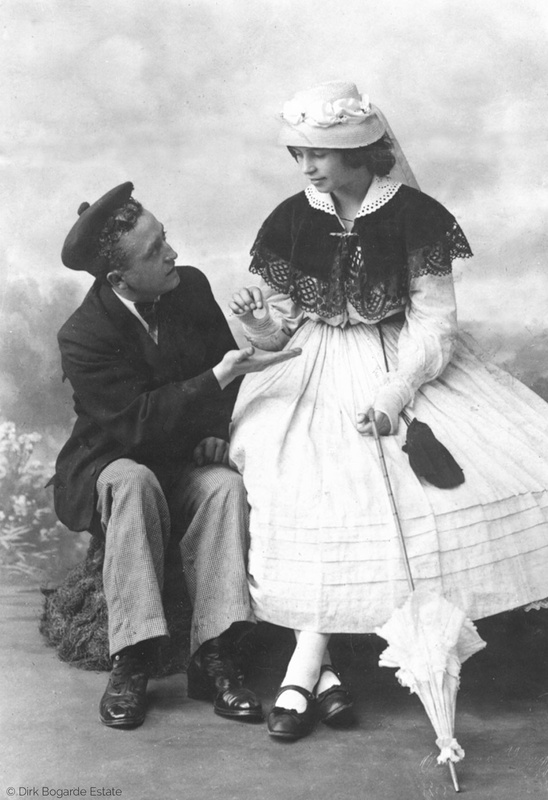 Forrest took his daughter Margaret, Dirk’s mother, on the road in touring productions and although in 1920 she abandoned her aspirations as an actress when she married Ulric Van den Bogaerde, she never lost the flamboyance, the colour and the sense of the dramatic that might have seen her make a modest success in the profession. In any case, some of the frustration was alleviated by her elder son’s rapid rise to fame; she could, to a degree anyway, lead an actor’s life vicariously. In childhood, Dirk and his sister Elizabeth staged plays of their own devising, using whatever everyday resources were to hand as sets and props. 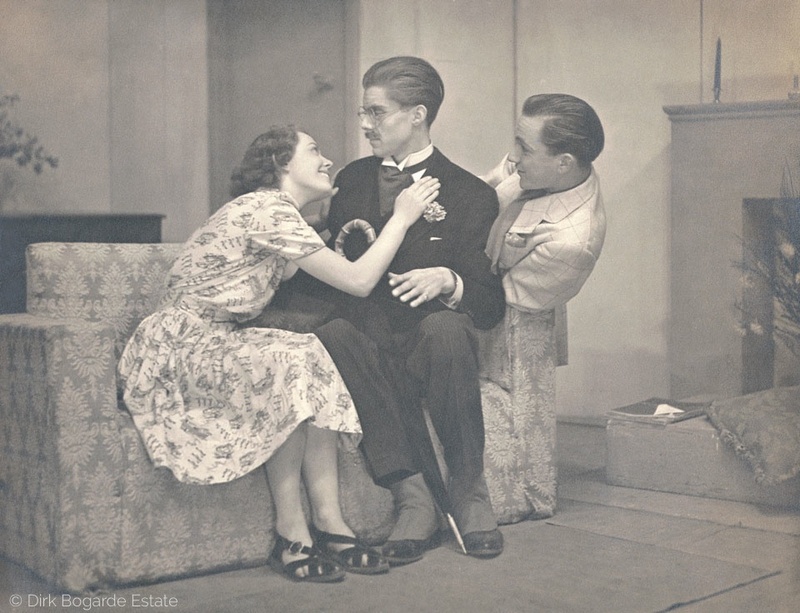 When the Van den Bogaerdes left London to settle in East Sussex, they became friends with the family of Lionel Cox, who founded and ran the Newick Amateur Dramatic Society in a purpose-built and elaborately equipped hall at the heart of the village. Nevertheless Dirk was given the role of Fred Dyson, a young local newspaper reporter. It was the first of a few – including another of Priestley’s cheeky chappies in Cornelius, which would transfer to the Westminster Theatre and give Dirk his first steps on the boards of a West End house. 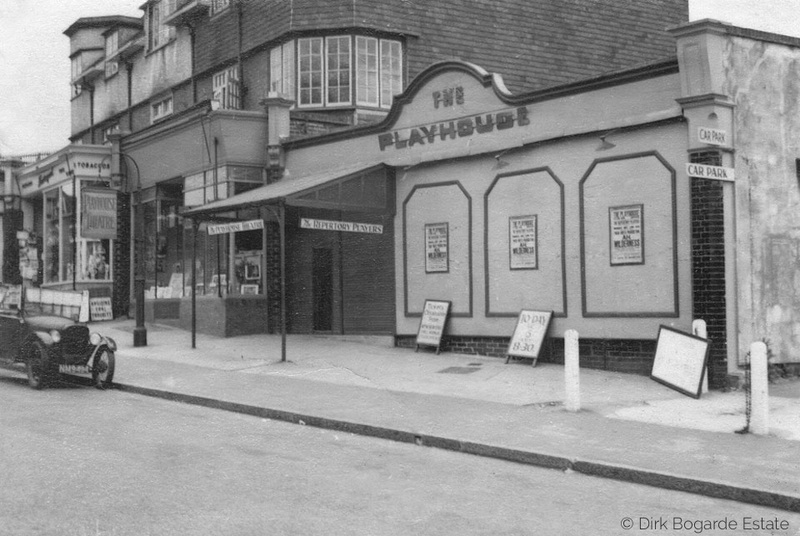 However there were not enough parts at Q to provide the stimulus he needed, so he looked elsewhere and joined the Amersham Playhouse, where for a few months he had that gruelling but matchless experience for an apprentice actor: weekly rep. It was while in Amersham that Dirk – still Derek Bogaerde at this point – met Lieutenant Anthony Forwood, occasional theatrical agent, who recommended him for Diversion No. 2, a Herbert Farjeon revue which opened at Wyndham’s on New Year’s Day 1941 with a cast including Edith Evans, Dorothy Dickson, Peter Ustinov, Joyce Grenfell and Bernard Miles. Among such talent Dirk attracted little attention, but as an experience it was precious. It was also short-lived. 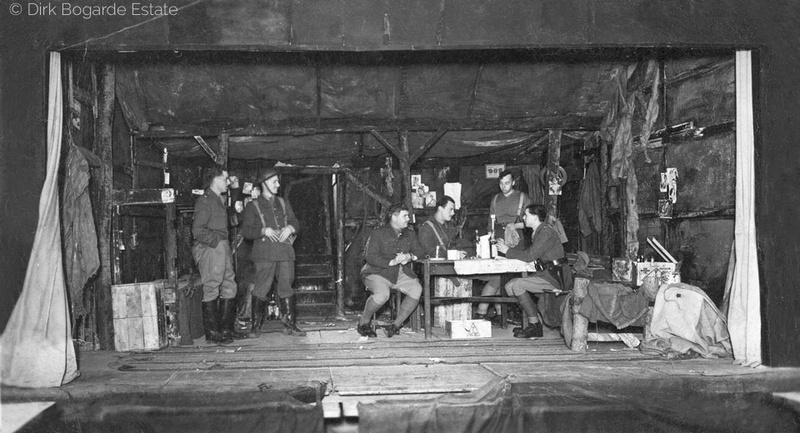 Dirk’s call-up papers arrived and, with little time or ceremony he was translated from being part of a small but celebrated troupe amid the brightest lights that blacked-out London could contrive, to the swarm of Catterick Camp and the parade ground’s lowest form of life, as Signalman 2371461. Records of Dirk’s acting life in the Army are, at best, sparse. During his time with the Royal Corps of Signals he participated in plays including Patrick Hamilton’s Rope and Elmer Rice’s Judgment Day; following his commission into the Queen’s Royal Regiment he produced, designed and appeared in at least one revue; in Java he was involved in shows designed to boost the morale of those emerging from captivity under the Japanese. However, his principal preoccupation by now was journalism, and he let an acquaintance know that on his return to England he was to work for the Daily or Sunday Express. Instead, he found himself, like many other demobbed servicemen who had acted before joining the forces, auditioning for the Reunion Theatre Association, an enlightened charity which could help them return to the job they loved. It was at this time that Dirk adopted the name under which he would work and live for the rest of his life. He also acquired an agent, Freddy Joachim, telling him: ‘I’ve decided to come to you because you’ve got such a bloody awful office that I feel you’ll work like stink to get out of it!’ The role of Granillo in a BBC television production of Rope was a good start, and then – after either a farcical mix-up or a nerve-racking formal audition, according to whose account you read – came Power Without Glory, arguably Dirk’s finest performance on a stage, but certainly not the most widely seen. From the time he began his career with Rank, his few excursions in the theatre had to be accommodated and approved by the studio. His billing in the programme was inevitably ‘By arrangement with the J. Arthur Rank Organisation’. And the drawing power established by his cinema stardom soon ensured that playbills outside the theatres were defaced by ‘Sold Out’ stickers. There was more: a stage fright, which in Dirk’s case was not so much the fear of forgetting the lines but rather a terror of failing to convince; of incurring derision. Add to that his hatred of the hysteria, the rapacity and the scrums which accompany celebrity. And finally, the fact that Dirk, already a shy man, was leading a private life that directly contradicted the persona presented to the world by the publicity machine at the studios; each departure from the stage door became a tension-filled ordeal, when a rogue shouted comment could break the spell and sully the mystique… No wonder he decided to pack it in, and not to stray from the security and the concentrated but brisk demands of the film studio. 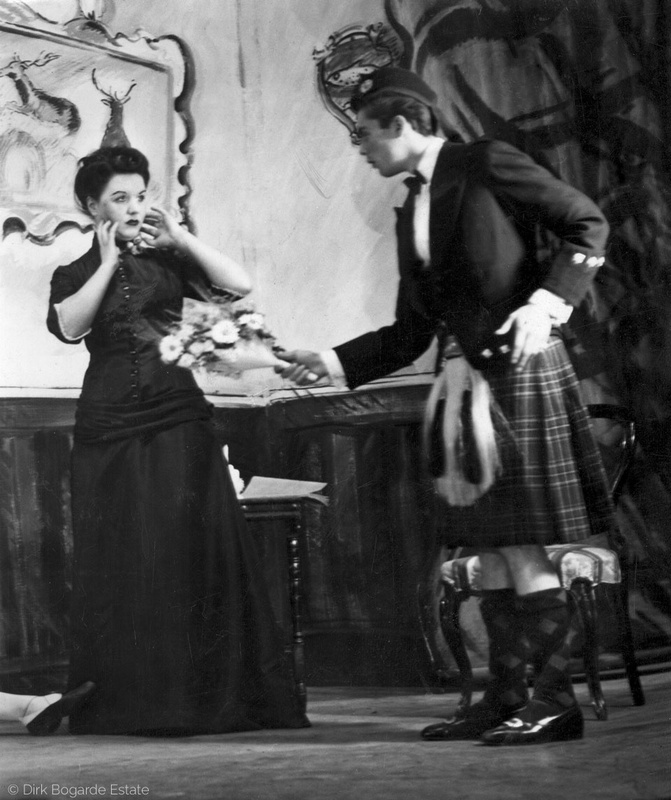 He did so in 1955, after a tour and brief West End run of Ugo Betti’s frothy confection, Summertime, directed by the young Peter Hall. Dirk contracted hepatitis, possibly from a B12 vitamin injection. Three years later, and by now the biggest box-office star in Britain, he agreed, as a favour to the struggling Oxford Playhouse and its director Frank Hauser, to star opposite Hermione Baddeley in another Anouilh, Jezebel. The initial fortnight in Oxford went well enough, but after an extra week, in Brighton, Dirk was diagnosed with pleurisy and double pneumonia. He nearly died. Never again would he act in a play outside the confines of a television or radio studio. 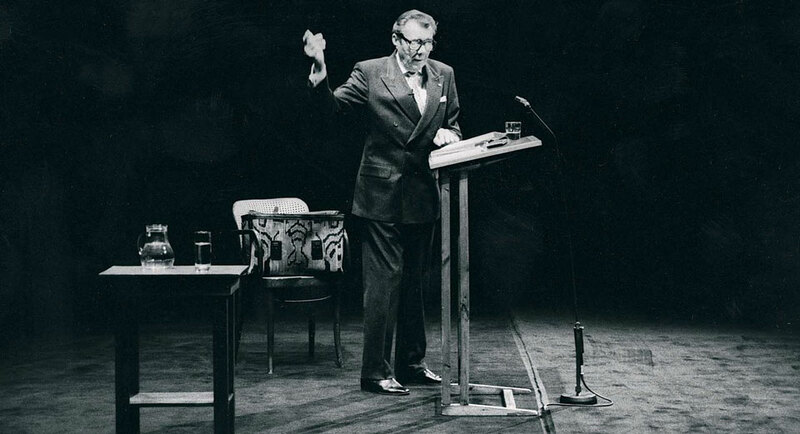 In 1965 he read a Prologue written by Christopher Fry for the opening of the Yvonne Arnaud Theatre in Guildford, but it was not until the late 1980s, when he took part in a reading for charity of stories by Saki at the National Theatre, that he rediscovered the charge generated by connecting with a ‘live’ audience. 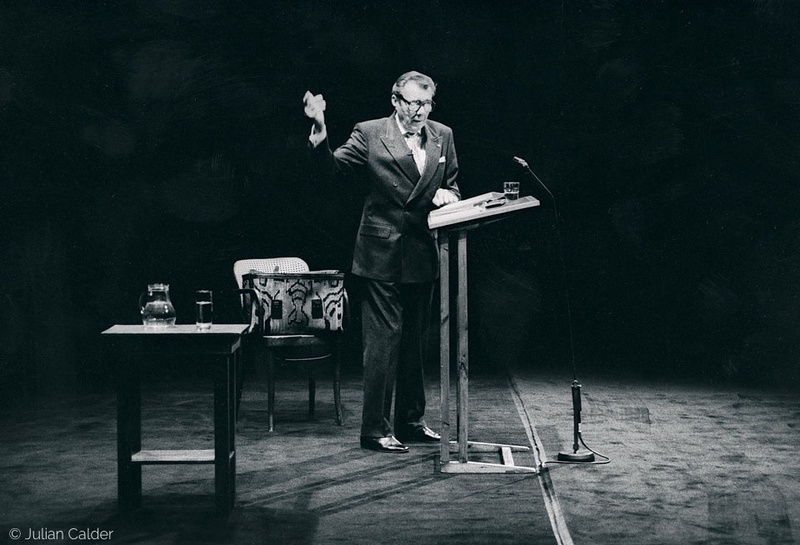 It encouraged him to embark on an extraordinary third career, dovetailed with that of the triumphant author, when he went back on the road to promote his books by giving what he sometimes called ‘concerts’ – a one-man show in which he read, recited, told amusing stories and, finally, invited the audience to ask him anything they liked. 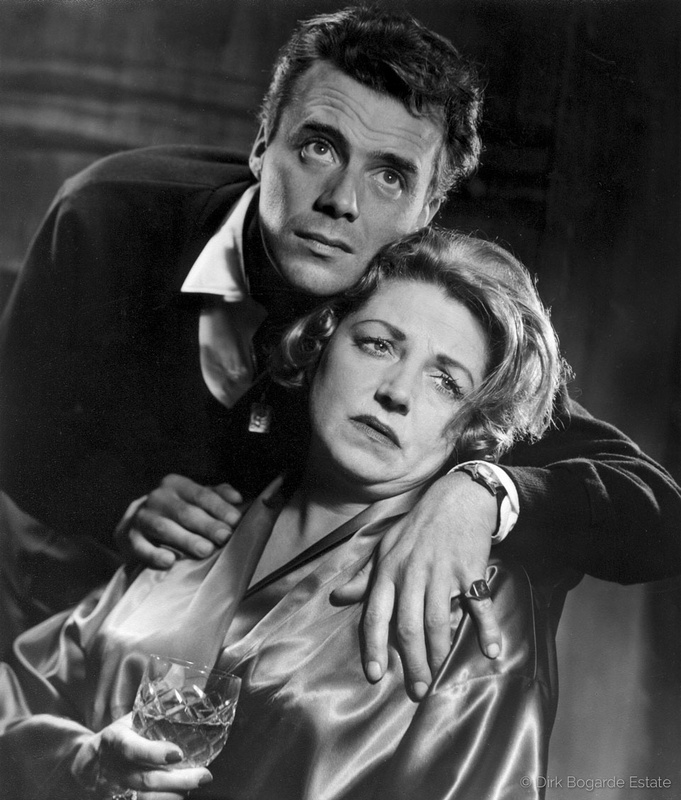 For these appearances he was billed as ‘Dirk Bogarde – By Myself’. That was only partly true. He might have been alone on the stage, but there was never a spare seat in the house.